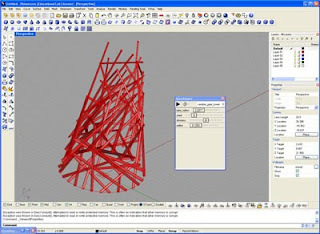 Demonstrates how to use a random number generator and the jitter tool to produce a tower of randomly distributed pipes. Also covered is setting up a remote control panel to control sliders from within the rhino interface. 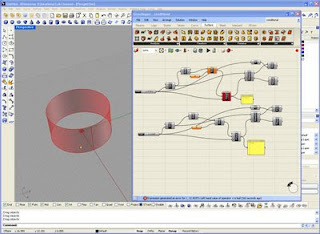 This is originally from Mohamad Khabazi's book 'Algorithmic Modeling with Grasshopper.' Definition here. 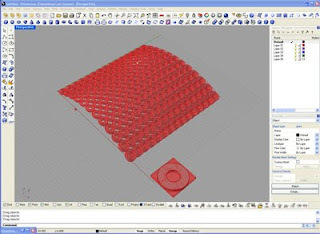 Tutorial shows how to use a conditional statement to vary the tile patterning on a surface according to a variable such as sun angle. Definition here. Shows how to create a conditional statement using a simple function and the dispatch tool. Definition here. 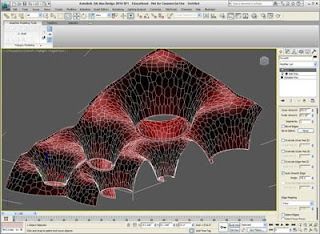 This tutorial builds on the Morph Tile tutorial by showing how to construct the same system using one and two attractor points that effect the thickness of the tile. Download the definition here. This is a down and dirty method of generating a series of continuous vaulted forms that are cut by an external rectangular geometry. 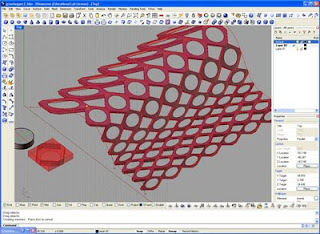 This method shows how one can use standard primitives, power boolean, and poly mesh editing together to create more complex forms. 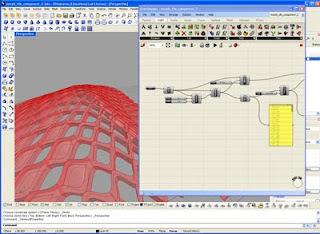 This tutorial essential demonstrates how to do some of the things you can do with paneling tools - but now in grasshopper parametrically. 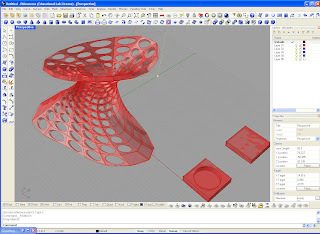 It uses input geometry and a brep surface with a few of the xform tools to create a variable surface form. Download the definition here. 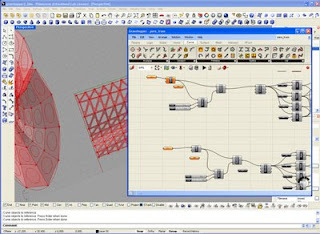 This is a remake of David Fano's Parametric Truss tutorial with a few minor changes and varitions. I also demonstrate the inherent problem when baking - If anyone finds a solution - please post in the comments. You can download the definition here. Remember when saving you need to chnage the file ending to ghx from xml.